BEAUTIFUL NEW FLOOR PLAN. LOCATED AWAY THE BUSY WORLD HIDDEN AREA CALL TALL TREE IN DERBY KANSAS! 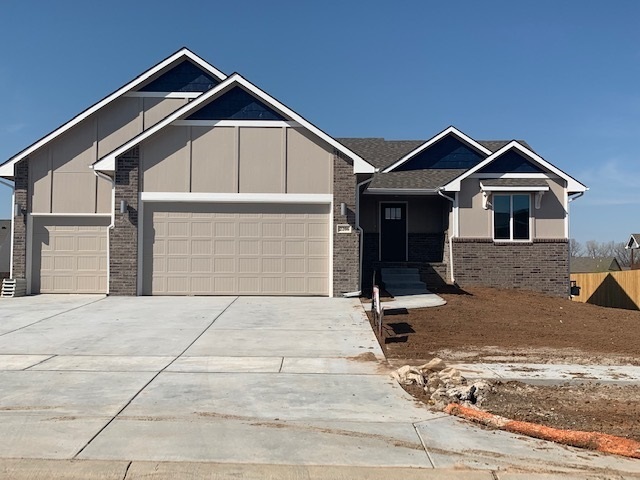 OPEN FLOOR PLAN WITH 3 BEDROOMS, 3 BATHS, BEAUTIFUL KITCHEN WITH WHITE TRIM AND CABINETS, UPGRADED FLOORING IN MAIN AREA OF HOME, FULL UNFINISHED BASEMENT WITH ROOM TO EXPAND FOR FUTURE GROWTH. HOME IS TO FINISHING STAGES EASY TO VIEW.